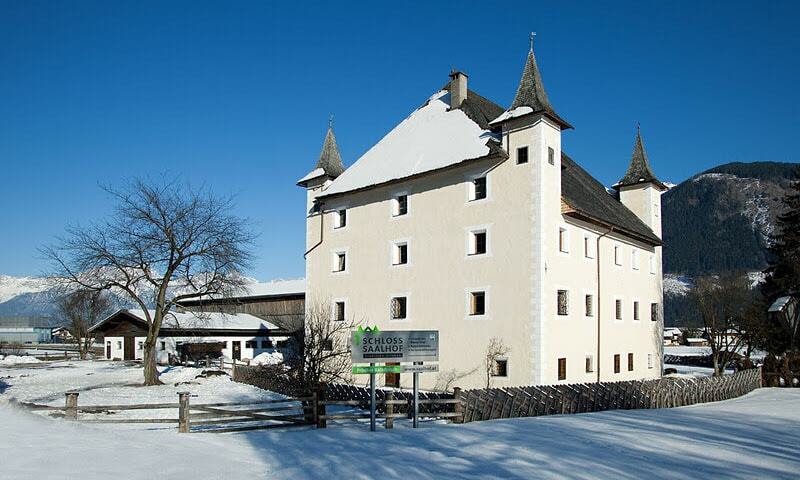 Castle Saalhof is one of the oldest castles in the Pinzgau region. It dates back to the 11th century, when it apparently was the home of the Counts of the region. In 1600, Castle Saalhof was extended. Since 2006 newly renovated apartments within the castle are available. In 2010, the facade was renovated and the old colours from the 17th century have been restored. During the renovation of the facade in 2010, the oldest parts of the castle on the north-east side were revealed.